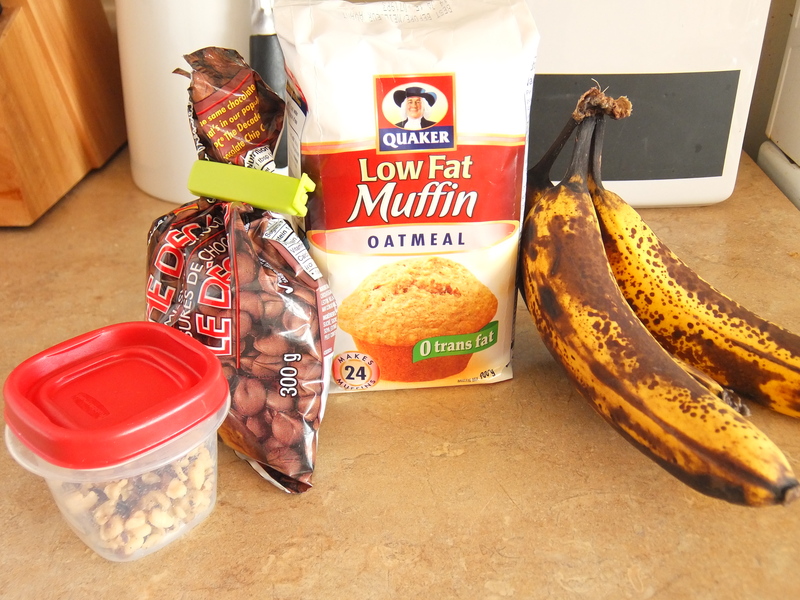 For this recipe, I used Quaker Low Fat Oatmeal muffin mix, a very ripe banana, chocolate chips, and walnuts. 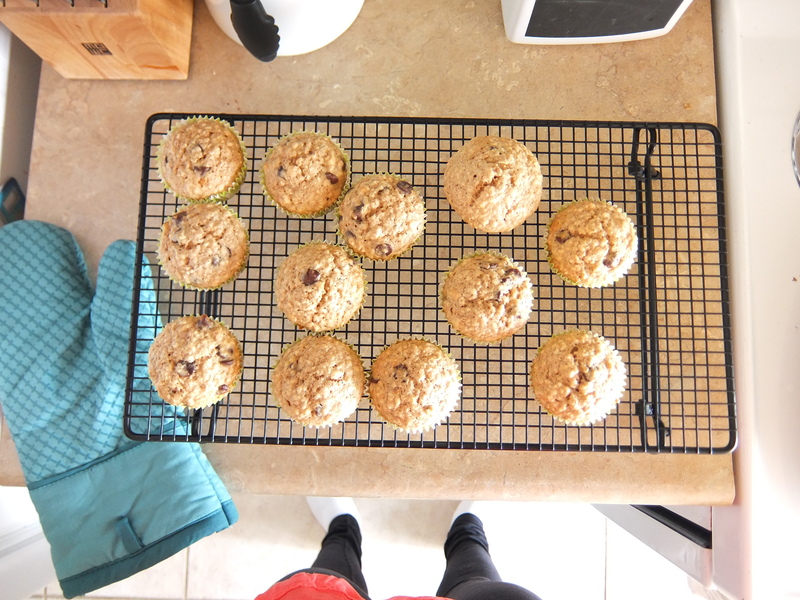 The muffin mix only calls for water, which is super handy. I like having a hint of the banana flavour in there, but you can choose any add-on ingredients you prefer. 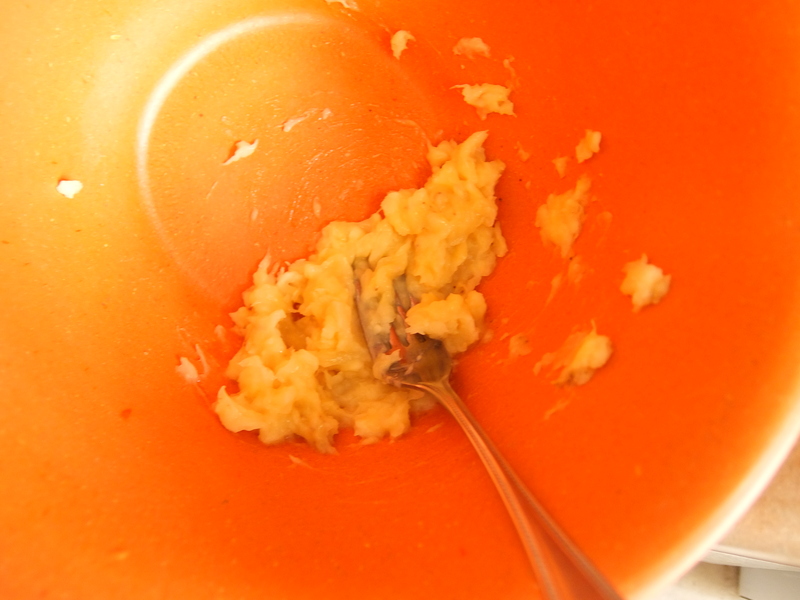 I started by mashing up the banana with a fork in the mixing bowl before adding the muffin mix and the water. 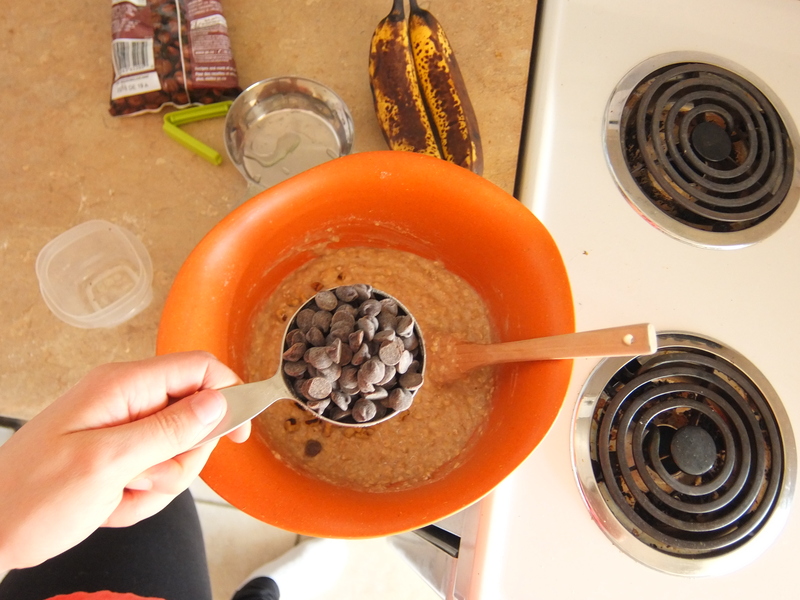 Depending on which mix you use, the amount of water and mix will vary. This one called for 1 cup of water with 2 2/3 cups of mix. 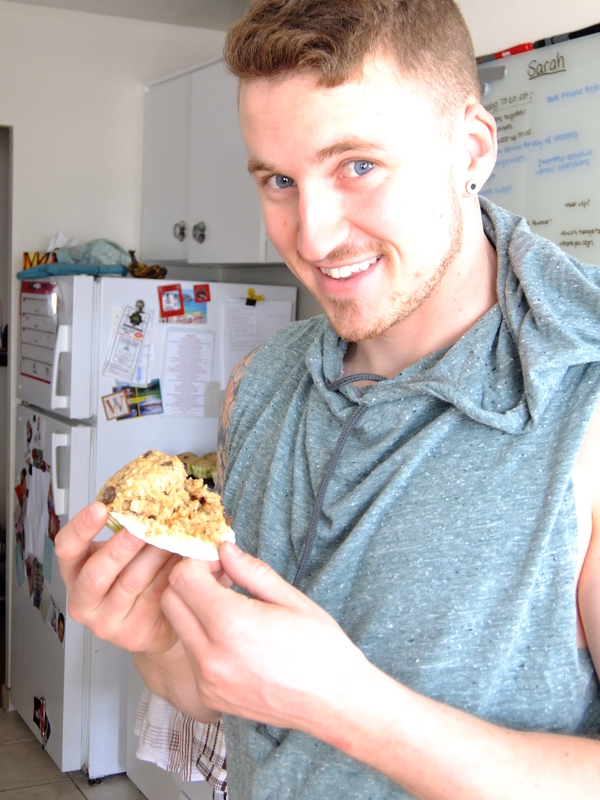 I then added the nuts and chocolate chips. I used the 1/3 measuring cup for each since it was out of the drawer, and it turned out nicely. Once out of the oven, I let them cool for a couple minutes on my Pampered Chef cooling rack. And then it was time to indulge! Pre-heat oven to 400 degrees F. Mix all ingredients together in a medium-sized bowl. 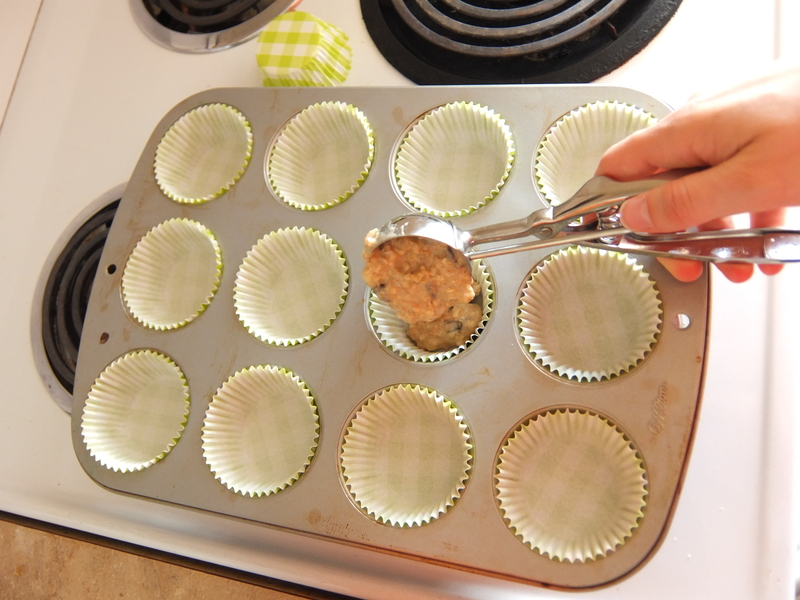 Line muffin tin with papers and scoop mix into the papers. Bake for 20-22 minutes. Let cool for 3-5 minutes. Enjoy!